With thoughtfulness and thoroughness as the backbones of each and every tour and program we design for you, we offer you a no-nonsense private tour experience which not only incorporates Fun into a Culture-and-Knowledge-based tour but also guarantees you absolute Comfort and Flexibility without the hassle of being taken to various factory outlets or shopping stops along the way! 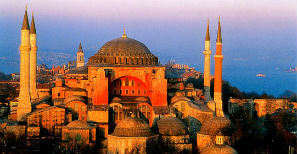 Our tours, guided by professionals and equipped with top-notch vehicles, reach every corner of Turkey. 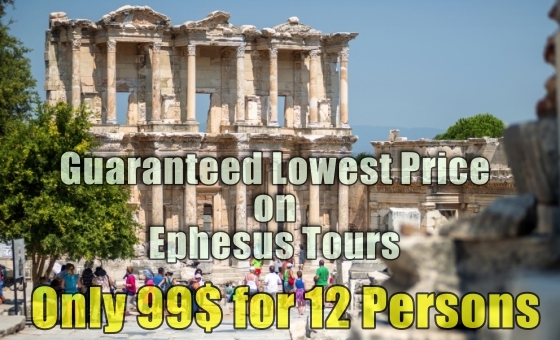 If your cruise ship docks at Kusadasi or Izmir Port, our half-day/full-day Tailor-made Private Ephesus Tours from Kusadasi or Izmir Port will be your best choice. 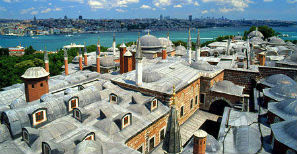 A Full-day/Half-day Istanbul Tour will open your eyes to the rich, old and contemporary history of the city. Join our Cappadocia Tours while you are travelling inland and enjoy beautiful sandy beaches and crystal clear sea during the Mediterranean Tours. 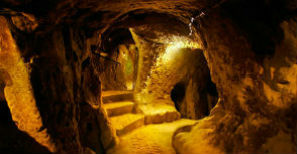 If you simply want to go ahead with the well tried-and-tested sightseeing tours, that's fine too. We are trustworthy and mean business. Every single preference, interest, need as well as demand of yours is our top priority. By applying “ specialist approach” to perfecting your travel planning, we are confident that your Private Tours in Turkey will be turly memorable, a best tour experience ever with greatest flexibility and satisfaction! 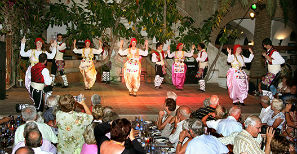 Turkish dinner and a spectacular floorshow with bejeweled belly dancers. 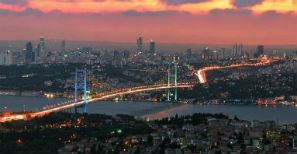 It’s the ultimate Turkish experience! 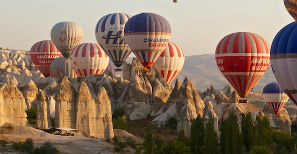 Cappadocia has unreal amazing landscape which makes Balloon flights one of world’s best.